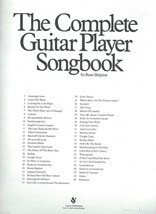 The Complete Guitar Player Songbook (The Complete Guitar Player Series) Paperback – January 1, 1980 by Russ Shipton Series: The Complete Guitar Player Series · Paperback: 40 pages · Publisher: Music Sales Corporation (January 1980) · Language: English · ISBN-10: 0825623278 · ISBN-13: 978-0825623271 · Product Dimensions: 11.9 x 9 x 0.2 inches · Shipping Weight: 6.4 ounces · Printed in the U.S.A. · List Price: 9.95. (Music Sales America). 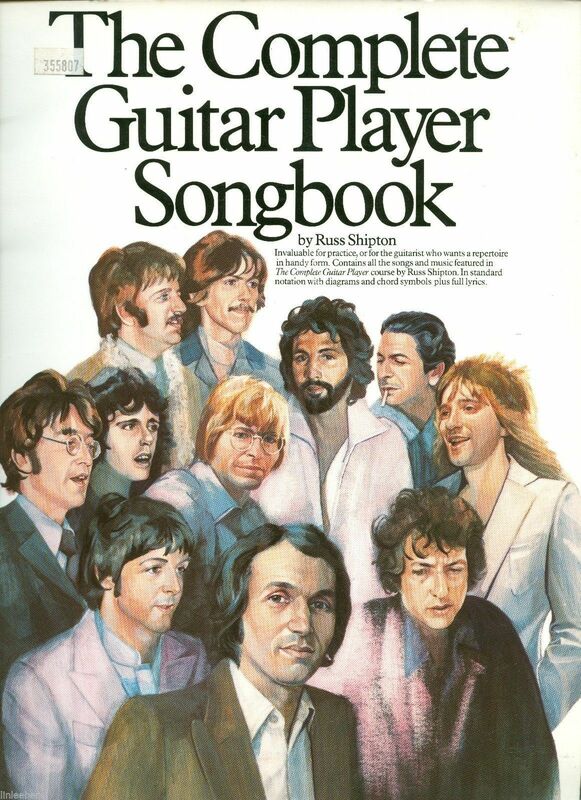 This compilation of all four of The Complete Guitar Player Songbooks contains over 40 songs written by such great songwriters as Lennon and McCartney, Paul Simon, John Denver, Bob Dylan, and many more. In standard notation, with chord boxes and full. REVIEW: It is hard to find a book that has a good assortment of songs to play through. Most songbooks tend to be compilations of one style or genre of music. Unless you feel like playing through a book of Pop Hits of the 90's or Broadway Love songs, this book will keep you happy for years to come. 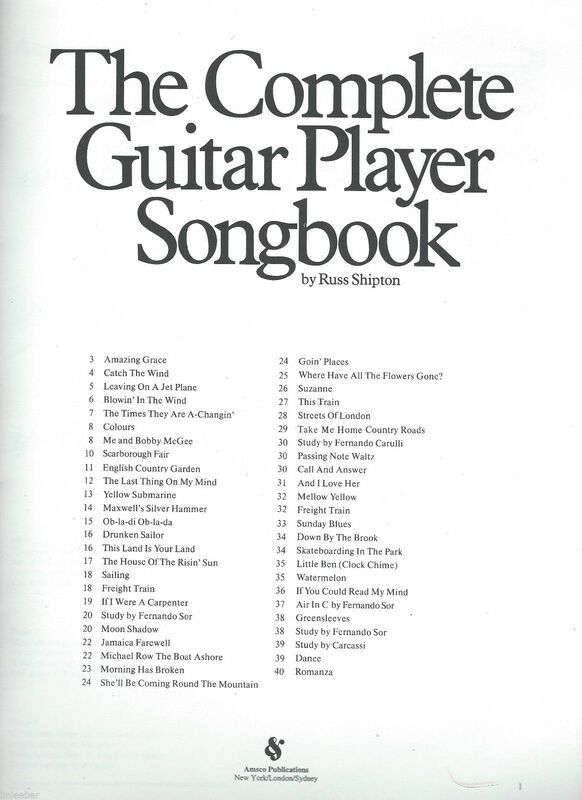 The Complete Guitar Player Songbook includes songs of the Beatles, James Taylor, Cat Stevens, Simon Garfunkel as well as folk standards and a number of classical selections. The book includes chord diagrams, suggested strum and picking patterns and is in standard notation as well as tablature. REVIEW: The good thing about this book--and about this songbook series in general-- is that it includes many popular songs that are good for a guitar player to learn, both to learn basic chord technique and build repertoire. The bad thing is that they are rife with errors, including unconventional and sometimes frankly incorrect music notation, some incorrect chord changes, and even some wrongly transcribed melodies (and it includes far too many of Shipton's own compositions, which are of minimal value). If you can find another songbook or songbooks that include most of the songs you want to learn, it is probably a more faithful and useful reproduction than this book. However, it does give good practice in basic chord changes, and has a good amount of good (and bad) songs, mostly folk and pop from the 60s and 70s, with some traditional tunes. REVIEW: Book 1 in the Complete Guitar player series by Shipton, which presents a simplified chordal / strum style approach to teach the same songs as in the songbook. I have found Book 1 to be the best intro to guitar, and particularly singing with the guitar, of the several that I have used. Book Condition- tight binding, glossy cover, clean pages except for first one (Amazing Grace) that has some music notations. About the Author Founded in 1947, Hal Leonard Corporation has become the worlds largest print music publisher, representing some of the greatest songwriters and artists of all time. We are proud to publish titles of interest to all musicians as well as music lovers, from songbooks and instructional titles to artist biographies and instrument price guides to books about the music industry and all the performing arts.